DD Freedish announced for 30th E-Auction on 15-09-2016 for filling up Vacant DTH slots. 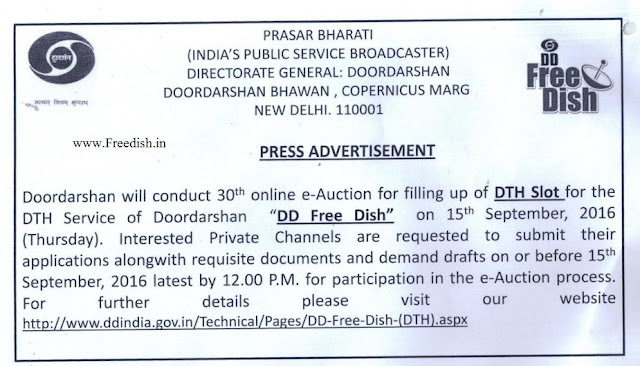 Doordarshan Prasar Bharati going to conduct 30th online e-auction for filling up of vacant DTH slot for the DD Freedish (DD Direct Plus), free DTH service of Doordarshan on 15th September, 2016 (Thursday). 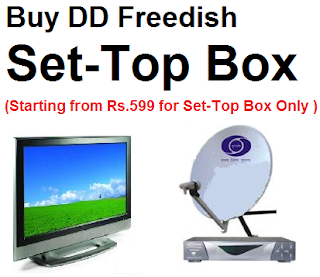 Recently DD Freedish completed successfully 29th eauction. - Read more.. Interested Private TV Channels can submit their applications along with requisite documents on or before 15th September 2016 latest by 12:00 PM for participation in the e-Auction process. South zone Tamil channel when did to you distribute please I want to wait to Tamil channel?.